Prospero Lambertini was born in Bologna in 1675 to noble but impoverished parents. His earliest education was with tutors. He proved to be a brilliant student, excelling in legal studies in Rome at the Collegio Clemantino. 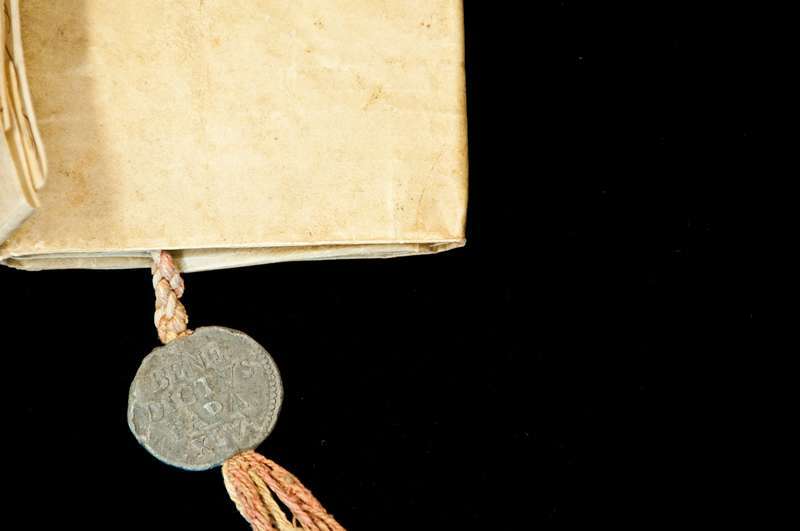 His doctoral degrees were earned in theology and law in 1694 when he was nineteen years of age. 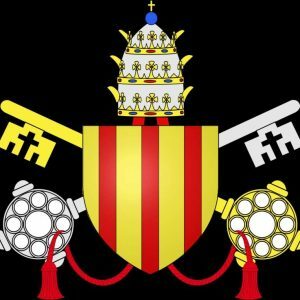 Due to his outstanding abilities and juridical training Lambertini rose rapidly in the curia, holding various positions. Clement XI appointed him a consistatorial advocate, a consultor of the holy office, and canon theologian. He became Benedict XIII’s close advisor. In 1727 Benedict XIII made him bishop of Theodosia followed by the archbishopric of Ancona in 1727, and cardinal in 1726. 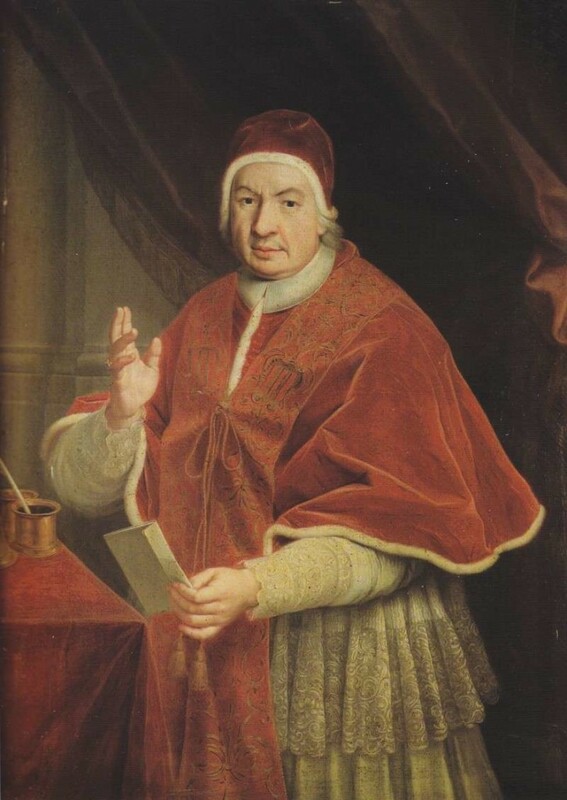 In 1731, Lambertini succeeded Lorenzo Corsini as archbishop of Bologna when Corsini became Pope Clement XII in 1731. At that time Bologna was the second largest city in the Papal States. He was greatly loved as a pastor and an efficient administrator who continued to write scholarly works on diocesan synods and other theological and literary topics. As a bishop, Lambertini was inspiring not only as a capable leader but also as a zealous and loving pastor who kept himself informed about the needs of his people. He established a committee in Ancona to do charitable works and prohibited theatrical displays in the liturgy. He viewed the episcopate as an opportunity to do good works. His personal humility and piety were a source of inspiration and strength. He believed the foundation of success in a diocese was through harmony between a bishop and his priests and he succeeded in obtaining harmony. As bishop to Bologna it was said of him that no one left his presence in anger or without being refreshed by his wisdom or admonitions. It is in this vein that Cardinal Lambertini has come to be known as the 18th century’s Cardinal Roncalli, the future Pope John XXIII (1958 – 1963). In their relationships with the common people of Rome, both men acted like ordinary priests. Upon the death of Clement XII a conclave lasting six months unanimously elected Lambertini who had quipped to them, “You want a holy man? Elect Gotto. A politician? Elect Aldobrandini. A good man? Elect me.” He chose the name of Benedict XIV. He was sixty-five years of age and would reign for close to eighteen years. 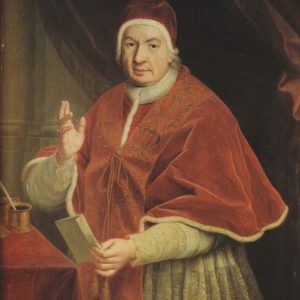 The Catholic Encyclopedia states that Benedict XIV was perhaps the greatest scholar among the popes. His interests ranged from science and history to literature and he was at ease in the company of the most learned men of the century. Bernard Montfaucon, a Benedictine scholar and archeologist of that era, said that Benedict XIV had two souls: one for science, the other for society. Benedict dealt with European monarchs in a spirit of simplicity and understood that the only way to achieve any lasting peace and to avoid hostility was through tolerance aimed at a spirit of universal reconciliation. The sword does not fit well in the hand of him who is the vicar of Jesus Christ, he said. He seemed to be the first pope to understand he must be disarmed in order to negotiate. With a pontificate embracing these ideals and with a keen sense of political realism, the issues that had confronted his predecessors would be handled in a new fashion. Benedict was less concerned with the papacy as a temporal power than as a spiritual power. He concluded concordats with many of the major powers that granted substantial concessions to Sardinia, Spain, Naples and Austria. He restored relations with Portugal and accommodated Protestant sovereigns who had Catholic subjects, thereby protecting the Catholic faithful in those realms. In the centuries that followed, these concessions would come to be seen as a sign of his weakness rather than as proof of his awareness that the papacy had lost secular power and the new emphasis would be the Church’s religious responsibility. Benedict’s dealings with the emperor were less effective. Charles VI died in 1740 and a dispute arose about his successor. Benedict was unclear about whom he supported and ended up alienating Austria as a result. 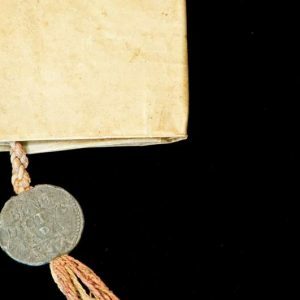 It is noteworthy that at the Peace of Aachen in 1748, the Holy See’s feudal rights to Parma and Piacenza were disposed of and Benedict’s protest was merely noted as a dissenting view. Despite his efforts at peaceful negotiations wars plagued his papacy and the costs were staggering. But Benedict improved the finances of the Papal States. He reduced taxes, encouraged agriculture and free trade and drastically cut the military budget. He was unable to completely reform the administration, still corrupt from previous papacies. Spiritually, Benedict concentrated on insisting that bishops reside in their dioceses and work hard to train an able clergy. To this end, he issued two bulls, which put an end to the use of the vernacular in worship. He strongly emphasized pastoral visits. He began a reform of the breviary and continued to condemn the Jesuits’ use of native rituals in China and the Americas. This had a deleterious effect on the church. Many Chinese converts rejected the faith the Jesuits brought them and East Asia was lost to the church for centuries. He reiterated Clement XII’s criticism and condemnation of Freemasonry and censored the Jesuits in Portugal for neglecting their rule and involving themselves in trade. He reminded the French bishops of Clement XI’s condemnation of Jansenism. He also wrote prolifically about the Church’s teaching on divorce and remarriage. Benedict’s personal interest lay in scholarship and to that end he established four academies in Rome devoted to history and liturgy, which attracted the greatest scholars of the day. At the University of Bologna he revived the practice of anatomical studies and established a chair of surgery. He bequeathed his private library, which, together with another benefactor, Cardinal Monti, constituted 80,000 volumes and 2500 manuscripts. Benedict reduced the number of holy days in Italy which had totaled thirty-six. He wrote to the Portuguese bishops of South America in 1741 calling for more humane treatment of the Indians. He also condemned some writing of the Enlightenment including Voltaire’s but he had a more moderate view of the Index of Forbidden Books and prescribed fairer and more scholarly standards to be applied to it. 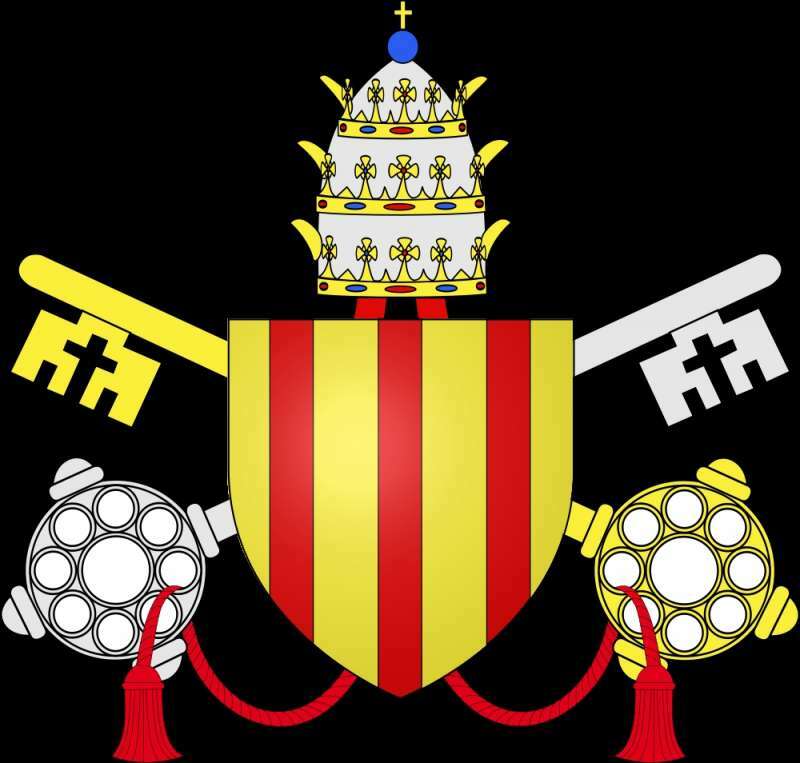 By the 18th century it was clearly no longer possible for a pope to behave as a sovereign and Benedict XIV was shrewd enough to understand the spiritual role of the papacy and the central need to be the administrative arm for a Church now spread throughout the world. Benedict has been called a meteor in the heavens within the Church, the likes of which would not be seen again until the reign of Pope John XXIII. But his style was still considered shocking. He had a clear view of ecclesiastical problems, had respect for differing opinions and an ability to distinguish between dogma and theory. He approved two new religious orders, the Passionists of St. Paul of the Cross and the Redemptorists of St. Alphonsus de’ Liguori. He encouraged veneration of the saints and caution about canonizations and recognizing miracles. His great intellect and scholarship is evident in the many bulls and prolific writing issued during his tenure, not only for Roman Catholics but also by his correspondence with atheists, Russian Orthodox prelates and several Protestant denominations. He recognized that all people are children of God despite differing ideologies, akin to what John XXIII understood two centuries later. Upon Benedict’s death the son of the English minister, Lord Walpole, had a monument erected to him with an inscription that acknowledged the esteem of the Anglicans for him, calling him the best of the pontiffs. He was also responsible for many urban projects, both humanitarian and civic, such as enlarging hospitals and feeding the poor during the Jubilee Year of 1750: during the month of April, 43,000 meals were served at the Trinita Hospital. 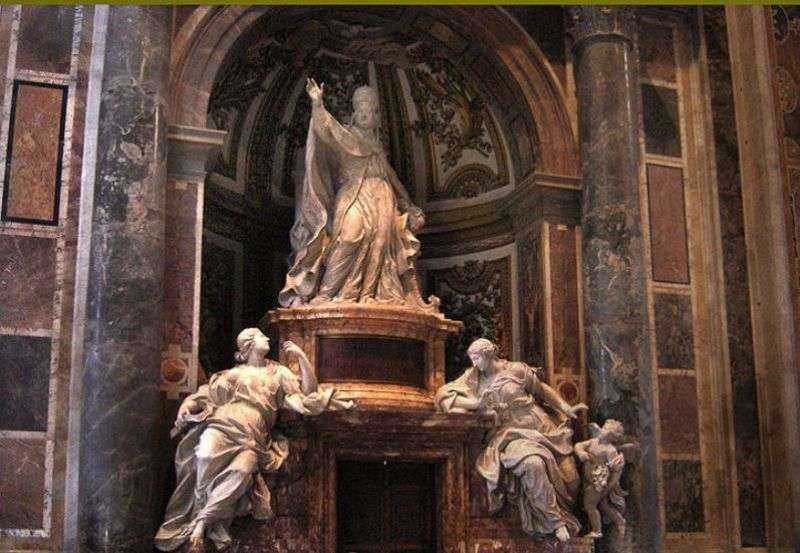 He built the church of St. Marcellinus, restored the façade of St. Mary Major and oversaw the construction of its famous baldachino at the altar. When he raised a cross in the Coliseum it was as much to preserve it from pillaging as it was to venerate the many Christians who were martyred there. Benedict’s affable and genial presence, so marked by personal modesty often found him forsaking protocol to be with common people. During his pontificate he named sixty-four cardinals who contributed to him eventually being discredited. They had a monument erected for him with an image that portrayed him, not as a pope of the people but rather, in a theatrical pose that does not correspond to the simple, apostolic man he was known to be. 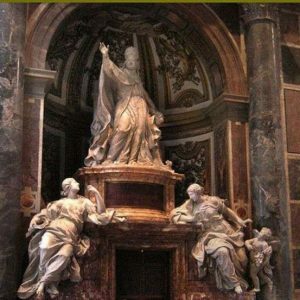 Benedict died in 1758 and is buried in St. Peter’s.